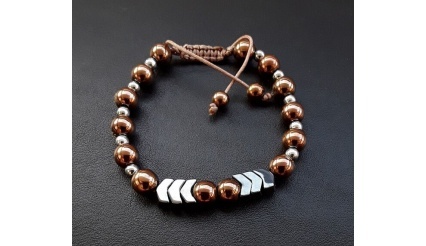 In this area you can explore the various collections of: bracelets, necklaces and so forth. 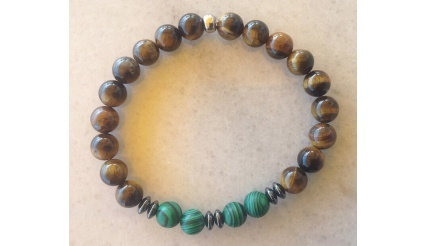 Buddha’s Spirit Path has been created by combining high quality and pure 108 Agate and smoked Agate gemstone beads. 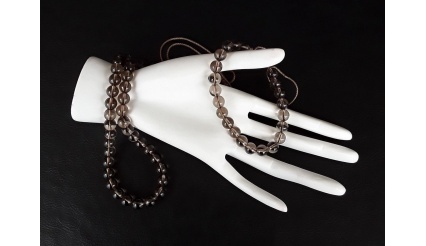 The length of the entire Necklace (which can also be used as a triple wrist bracelet or as a Yoga Wrap Bracelet) spans ca 94 cm long!!! 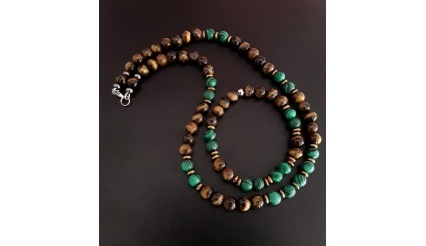 Moreover, Buddha's Spirit Path has been enhanced with sterling silver and guru silver beads. Furthermore, Buddha's Spirit Path focuses on the 4th and 7th Chakras as well as on the 9th and 11th Chakras (of the 12 Chakra system)! Additionally, White Agate (focusing on the Crown Chakra) is considered “The ultimate pregnancy stone”. It helps to protect mother and baby from harm, soothes labour pains, eases morning sickness, ensures a healthy milk flow for the baby. 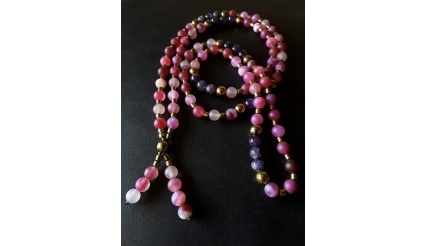 Mala prayer beads help us to count and focus during mantra meditations. If you practice meditation and yoga, a mala can be a very powerful tool in your quest for wellness and clearer understanding. 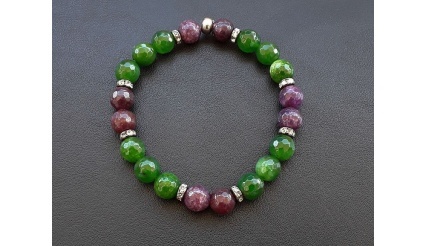 Add to it the pure, high-quality gemstones and you realize the power that you will hold in your hands. 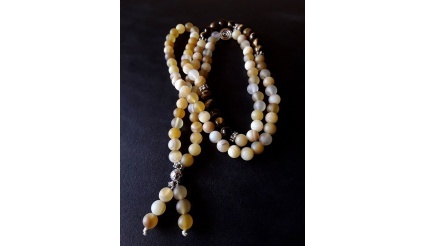 Buddha’s White Lotus has been created by combining high quality and pure 108 Agate, Tigers Eye and Silver gemstone beads. 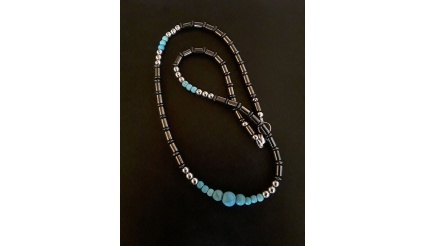 The length of the entire Necklace (which can also be used as a triple wrist bracelet or as a Yoga Wrap Bracelet) spans ca 96 cm long!!! Moreover, Buddha's White Lotus has been enhanced with sterling silver, guru silver beads and a spiral silver bead. 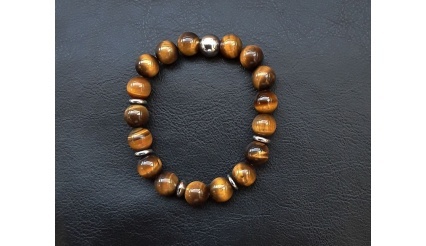 Furthermore, the beads’ placing order that has been used on the Necklace (switching between Agate, Tigers Eye and Silver) has been done in such a way so as to increase the focus of meditation - in both the mind and on the energy-vibrational level; and to restore the equilibrium in your life. What is more, Buddha's White Lotus focuses on the 3rd, 4th, 6th and 7th Chakras as well as on the 9th and 11th Chakras (of the 12 Chakra system)! SPIRAL - The oldest symbol known to be used in spiritual practices. It reflects the universal pattern of growth and evolution and represents the goddess, the womb, fertility and life force energy. Reflected in the natural world, the Spiral is found in human physiology, plants, minerals, animals, energy patterns, weather, growth and death. It is a sacred symbol that reminds us of our evolving journey in life. When used as a personal talisman, the Spiral helps consciousness to accept the turnings and changes of life as it evolves. SOLAR PLEXUS CHAKRA - 3rd Chakra - solar plexus chakra healing helps you to feel centered in your mind, body and spirit. When your manipura chakra becomes unbalanced, you often cannot concentrate, feel stressed all the time and just cannot gain total control of your life. This leaves you feeling both mentally and physically exhausted. When your solar plexus chakra is balanced, you feel comfortable in your own skin, bringing happiness, self-discipline and reliability. You feel more confident with yourself and your decisions, motivating you to move forward and take action. Wearing or carrying solar plexus chakra gemstone-necklace is a powerful way to assure your solar plexus chakra remains balanced. These solar plexus chakra stones fill your body with positive energy and happiness, alleviating self-doubt, confusion and stress. 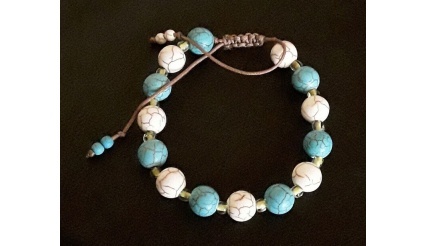 Santorini’s Dawn is a Bracelet that is based on the Howlite’s gemstones power. 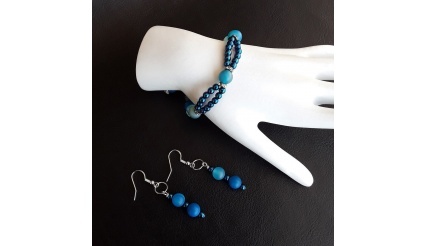 The design and colours are inspired by Santorini’s Island ancient traditions (Santorini is located in the Aegean Sea of Greece). Moreover, Santorini’s Dawn is also meant to bring with it the fresh feeling of the summer, the sea and the Water Element. 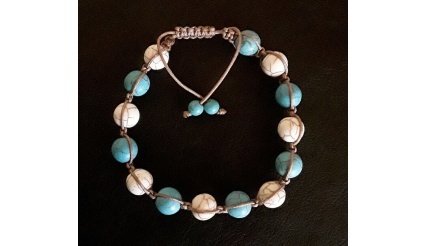 White, light Blue (Turquoise) and Brown Gold. 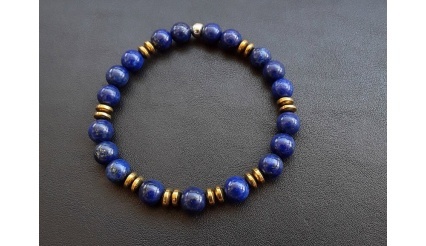 Description:Mirage of Thaumas is a Bracelet that is based on Lapis Lazuli gemstones’ power and in-between, its gemstones are connected with the gemstone of Hematite. The bracelet’s gemstones, and design, allow the bracelet to give off a unique vibrational glow.The design and colours are inspired by the Aegean Sea’s ancient traditions and by Ancient Greek Mythology; specifically, by the Sea God Thaumas (whose name signifies Wonder).Moreover, Mirage of Thaumas is also meant to bring with it the fresh feeling of the summer, the sea and the Water Element. 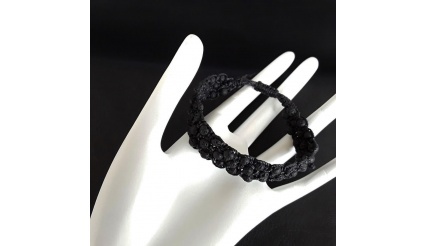 Description:From the Bosom of Crete, the bracelet “Crete’s Bosom” ascends. 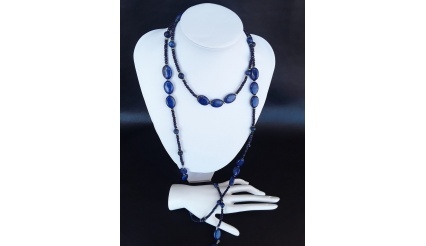 Gemstones, inspiration and design are rooted in the Ancient History of Crete, its ancient civilization and Zeus’ Amalthea. 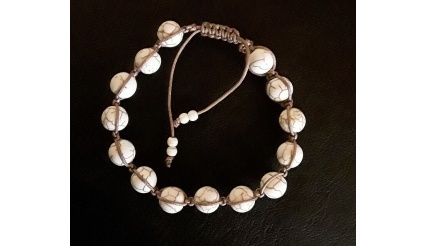 Bringing with it the powers of Howlite and in-between, its gemstones are connected with crystals; “Crete’s Bosom” is a bracelet for the elegant and the unique. 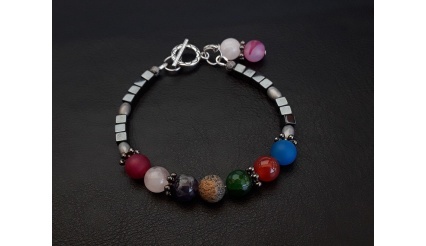 Finally, the bracelet Crete’s Bosom brings with it the Water Elements.